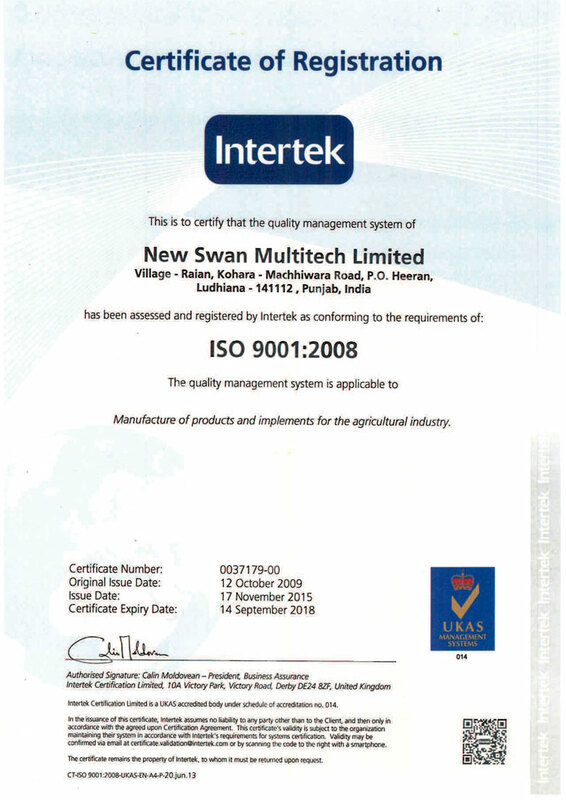 We, at NEWSWAN are committed to comply with applicable Environment, Health & Safety (EHS) legislations including all legal, statutory, regulatory and other requirements. Provision of clean air and water inside and around the factory. Setting measurable objectives at key functional levels. Review periodically the effectiveness of EHS management system. 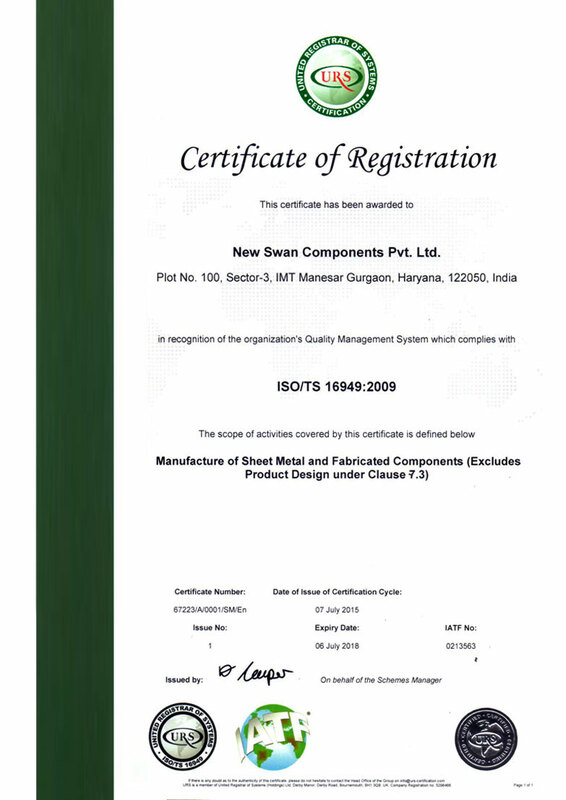 "New Swan is one of the leading manufacturers of fine blank, sheet metal parts and sub-assemblies Since its inception in 1985, New Swan has grown steadily under stable leadership, sound business practice and corporate culture that strive to be the best in the industry. New Swan, shall strive to be most reliable brand in National & International markets for its products with relentless focus on our quality policies. Emphasis on quality oriented culture even in workshop at worker level. Proper & timely training to the workers & employees for their skill improvements. 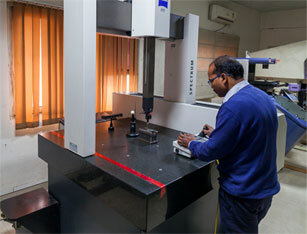 Optimum utilization of resources to be more competitive so that can offer cost effective products to our customers. Customer satisfaction is must for us hence we ensure that quality control mechanism is being followed rigorously everywhere so that we cannot face customer dissatisfaction anytime. Ensure effective, efficient & on time delivery of our products to fulfill the requirements & expectations of our customers. 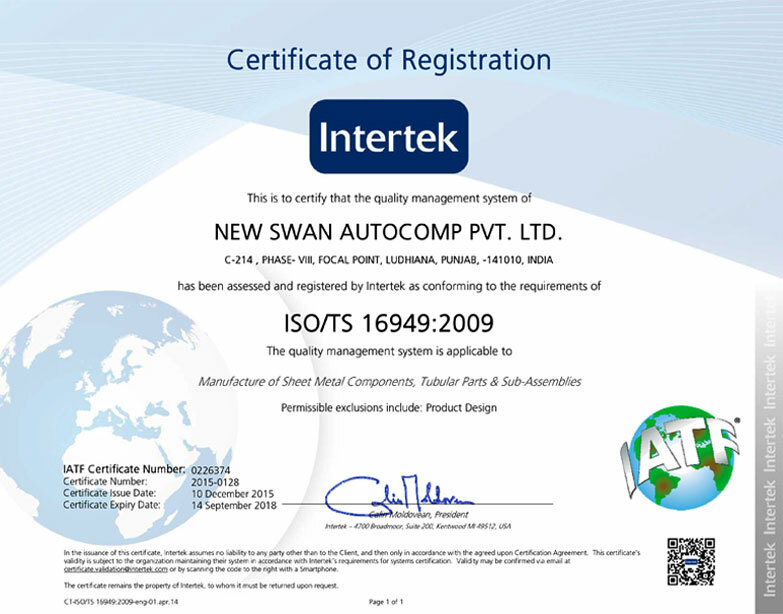 Committed to provide on time resources necessary to achieve required level of quality. On time review of our Quality System to make it more effective and quality oriented.